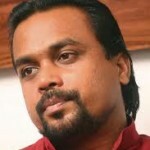 National Freedom Front (NFF) Leader Wimal Weerawansa MP today handed over a letter to the Speaker requesting an urgent Parliamentary debate on the UNHRC proposal to establish a Hybrid Court in Sri Lanka, to try those accused of war crimes. Weerawansa says that the UNHRC is trying to set up a branch of the International Criminal Court within Sri Lanka in the guise of a so-called Hybrid Court. 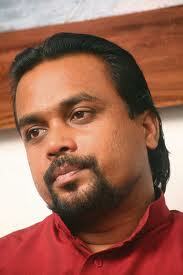 Weerawansa in his letter has urged the Speaker to take up the matter when the parliament reconvenes on September 22. An English translation of Weerawansa’s letter is printed below. A report released on 2015.09.16 by the United Nations Human Rights Council on Sri Lanka contains a number of serious accusations against the country’s security forces. Based on this report the UNHRC has proposed to set up a branch of the International Criminal Court within Sri Lanka in the guise of a Hybrid Court. Foreign Minister Mangala Samaraweera has endorsed the idea of setting up of a special court in his speech at the UNHRC’s 30th sessions. This shows that the government has already agreed to this move. This is a very serious issue. Such a court with foreign Judges can only be established in a country which is under colonial rule. So I propose to this council that the setting up of a sub-branch of the International Criminal Court within Sri Lanka, slated to materialize in the guise of a Hybrid Court should be opposed. « Goodbye Colombo Or Is It Hello?